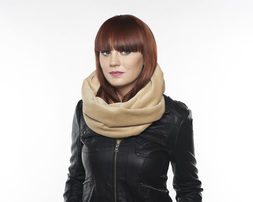 JEM signature scarves are all handmade for women and men. They have a draped luxury look with an effortless cool. They can be worn several different ways - on your neck, around your shoulders, worn as a tunic, as well as, a hood on your head. It will make your outfit pop. JEM founder and designer, Jennifer Elizabeth Miller, selects fabrics that either has an amazing pattern, eye catching color or a beautiful feel. 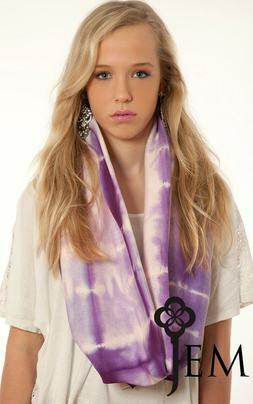 Miller is a new designer that has already made her scarves a favorite in her local city of Washington, DC. 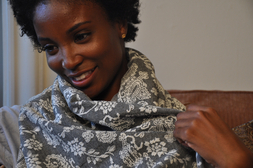 DC bloggers and local fashion shows alike are noticing these casual yet sophisticated scarves and excitingly enough they are now being brought to you worldwide. 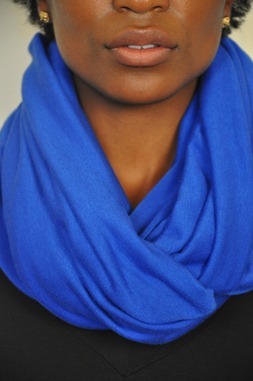 Check out the how to wear tutorial! 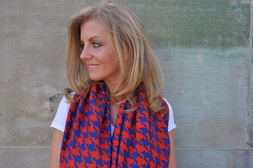 Countless options with this chic scarf. JEM Collection on the street!